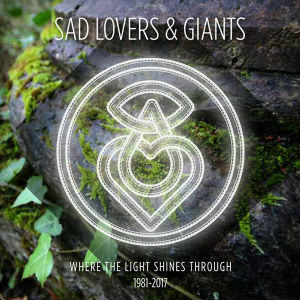 Watford, UK band Sad Lovers and Giants has long been a favorite of mine. I followed them from the moment Feeding the Flame (1983) hit my turntable and never let me go as a fan. Other albums I enjoyed included Epic Garden Music, but it was that second album that really had an impact on me. The band’s elegant but icy synth-laden post punk never got old, and they never really sounded like anyone but themselves. So when I heard that Cherry Red was releasing a band-curated box set of all their recordings, I thought it was about damned time. That the band is enjoying a renaissance is no accident, as classic bands from that era are reforming and drawing bigger audiences than ever. Lightweight it is not. More like a sonic tome, a ridiculously exhaustive offering that will absorb listeners for many hours of happy listening. It includes the band’s current work too, including four tracks recorded at a recent LA radio session (two of them brand new). Rather than sink further into the wealth of detail recounted here, let’s dive into the music. The first disk is a gem, starting off with a firm favorite, the classic “Imagination”. It contains all the singles in chronological order, and therefore you can expect it to be great, as it is. I am currently obsessed with ‘A Landslide’, from the stellar backbeat to the deceptively simple keyboard and guitar lines. Its crystalline notes fall around you like diamonds, and it is true bliss hearing this song on repeat. You will find yourself singing along with Garce, how can you not? It has a lovely melody, and the fact that it’s so straightforward endears it to me even more. “Colourless Dream” has really cool bass and an infectious melody. It moves through all too quickly! “Things We Never Did” contains all the classic hallmarks of SL&G, a combination of light and dark and smartly arranged at that. “The Tightrope Touch” is rainy day synth pop, moody music for a dark Monday. “Man of Straw” is discordant and ominous, but that darkness is split by a beam of light on the chorus. It’s an approach the band uses often, and it suits them. “Seven Kinds of Sin” is wonderful, certainly one of their best. “The Best Film He Ever Made” is cool and piano driven, while “Alice Isn’t Playing” wraps you in its silken strands. Just lovely! “Beauty Is Truth” is also great, and it’s the first time I’ve heard this one. I like the way the bass lopes along, and how Garce and the guitars really step it up on the chorus. Disk 2 contains the cream of the crop, the band’s first two albums on Midnight Music. I didn’t realize Epic Garden Music came before Feeding the Flame. They are stylistically very close to one another, and are a great entry point for the band’s music. All their best songs are on this disk, ranging from the dreamy swirl of “Echoplay” to the mesmerizing tension of “In Flux”. If I had to name one song I rank above all others, it’s “In Flux”. It has the perfect opening sequence, and then when that guitar kicks in, you are hooked! The bass and keyboards work in tandem with some marvelous guitar work, and despite its creepy atmospherics, this is one stellar tune. “Clint” is catchy and swift, further inducement for diving deep into this disk. “Cloud 9” meshes cold wave and psych into a delicious stew, and is another song I forgot about over the years. “Far From the Sea” is a companion to “Close to the Sea” and both are lovely and unforgettable. The latter is airier with a dreamier feel, and is what this group does best. “Cowboys” is plain great, showcasing the band at the top of its game. “On Another Day” is a perfect example of downtempo dream pop, music for lazing by a slowly winding stream. “Sleep (Is For Everyone)” also merits a classic stamp, from its eerie start to the moment the guitar takes root. The tension is high on this one. Simply brilliant! “Strange Orchard” is beautiful and languorous, fraught with emotion and another winning track. “Burning Beaches” is slow burning, slightly gothic, and will frost your ears with its glacial tones. The third disk contains The Mirror Test album (2011 Redux) and tracks from Headland (1989). It is the second lineup, but the band emerges as if no time has passed in between. Garce is in fine voice, and the music is somewhat brighter than the two preceding records. “The Green Years” is sumptuous and dreamy, “Cuckooland” has lovely piano, and the gentle “Wire Lawn” is driven by an acoustic guitar. “Life Under Glass” has rippling guitar and is extremely upbeat. “House of Clouds” is marvelous and could have easily resided on an earlier platter, so it’s a nice return to somewhat darker realms. “One Man’s Hell” is lively and fun, while the final tune “Alaska” reminds me of a tad of The Chameleons UK. That’s all to the good, as it’s a style that suits SL&G. Disk Four includes tracks from Treehouse Poetry, the only album not previously re-released by Cherry Red. It also includes the 2005 album, Melting in The Fullness of Time, of which only 500 were made, so it’s a rather sought after rarity. I must profess that I haven’t previously heard these albums, so this is all new to me. Take “My Heart’s On Fire”, which seems to include a bit of slide guitar. It’s somewhat different, yet it employs the trademark guitar fans expect to hear. I like how they mix it up, not afraid to tuck away the darker themes from their past and focus on a brighter future. As mentioned in the liner notes, these are mostly love songs. Another thing to note is that SL&G compose really long songs. 5 or 6 minutes is the norm, not the exception. “Lizard King” is pretty synth pop with trippy edges, the keyboard adding filigrees that surround it with a slightly gothic feel. “Christmas on Easter Island” is gorgeous, hazy dream pop and should have been a hit. “A Daughter” sounds like a completely different band, one that has evolved from the darker elements of dreamy post punk, yet the way this song is arranged is classic SL&G. “German Cars” is simple in structure but lovely in execution. “Learn” is trippy and somewhat distorted, a weird but cheerful little song. “Melting In the Fullness of Time” begins with plaintive piano and a weird electronics sound, then is overlaid by synths. “Black Crow” is the one dark mote on an otherwise bright and sunny disk. And for that reason alone, it stands above the other tunes in my mind, because SL&G are so good at shading their music in a pleasing way. Just lovely! Moving on to the final disk, “50:50” is a song that’s come up a lot when I put this disk on shuffle. It is dominated by saxophone, and is a high energy, nervous new wave tune. Love it! “The Change” also seems like it belongs with their older “material, and it has a thrilling punk energy that I dig. “Take Me Inside” is equally fun, edgy post punk. I truly wish the band had explored more of this side of things, as they do it so well. “Echoplay” and the amazing “A Landslide” are revisited in different mixes before things move on to the John Peel Session. My favorite part of the session is “There Was No Time”. “Clint” is distinctly different from the original, and has a more frantic feel. The remaining selections are all interesting, and will please completists. 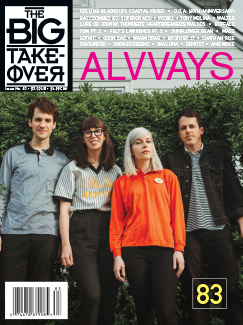 The disk ends with a 2016 remix of “Things We Never Did”, which will transport listeners to the dance floor. In summary, this box set is a must have item for diehard fans as well as people just getting into the band’s music. Highly recommended! Catch up with the band on Facebook for the latest scoop, or check out their home page. Pick up the box set over at Cherry Red and other good music emporiums.